The Womens Roomy 12+3 Rucksack is a bike pack for day tours or short trips, ecologically manufactured with bluesign certified material. The softly padded shoulder straps and air-permeable hipbelt are designed to fit a woman's body. Together with the Aeroflex mesh suspension system, they guarantee optimal carrying comfort and efficient ventilation. 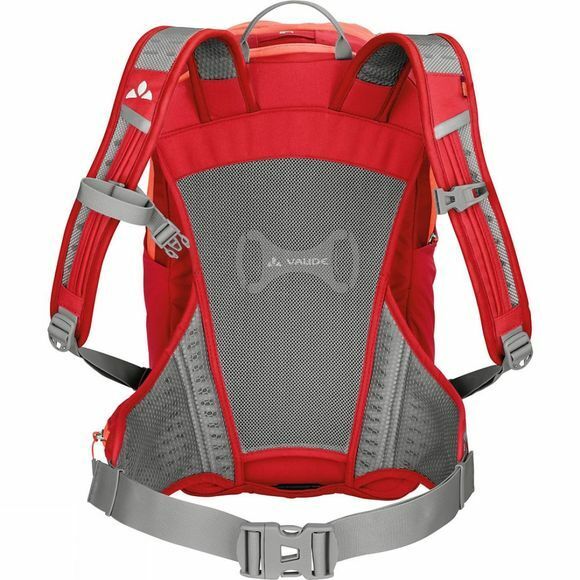 The pack supplies 12 liters of carrying volume that can be expanded by three liters when needed. Part of the package alongside the raincover, helmet holder, key attachment and safety light fixture is a small removable bag and – just in case – a set of tyre levers. 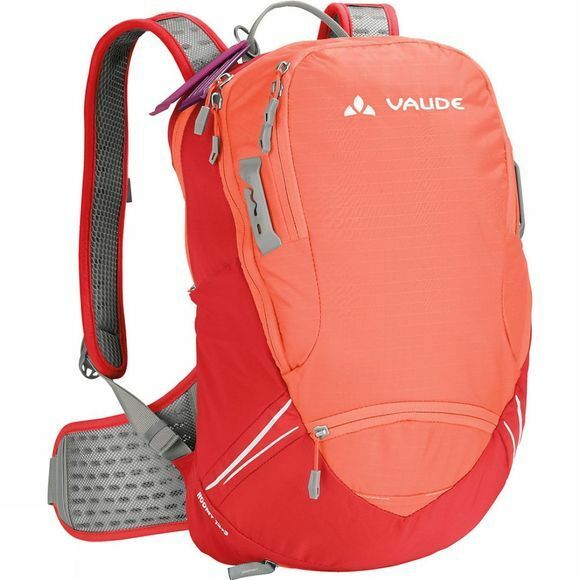 Green Shape is Vaude's guarantee for environmentally friendly products – made from sustainable materials, resource efficient manufacturing and fair production.